Having a father in the business, you could say it’s in the blood. Coming into the offices to “help” from a young age. Working on the vehicles as a porter and then driver between qualifications. A background of retail management. Starting full time with the company in 2000 within a sales role to learn of the then International Manager. Time was spent within all departments. Progression to International Manager in 2005. 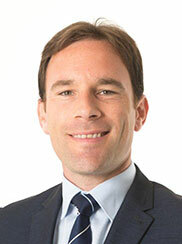 General Manager in 2018. Outside of work you’ll find Neil coaching children’s football and rugby teams or enjoying most things sporting and time with his family. 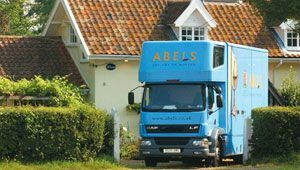 I have been employed with Abels Moving Services for a combined period starting with the company in June 1981, as a removals porter, completing a driving test for HGV2, moved up to senior Driver and then undertaking surveys for people moving within the UK. 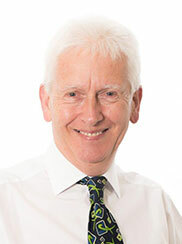 After taking a brief secondment for 18 months 1996 – 1997 I returned to Abels Moving Services as Commercial Moves Manager – Surveying and preparing quotations for the Office Moving Sector. Moved over to Export and European Sectors in 2000 concentrating on all moves from the UK to other countries all over the world. 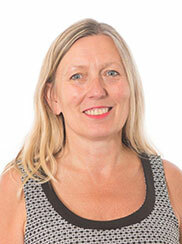 Having worked for Abels since 2003, Diane works within our International Department, and is additionally a trained and skilled surveyor, visiting customers homes to personally discuss their moves, assess the access challenges and plan how best to pack and protect possessions for their transit. 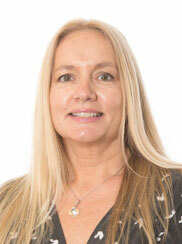 She has gained a vast experience within the removal industry allowing her to find appropriate solutions to ensure clients international moves are arranged using the best possible option. 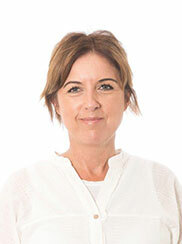 Her experience of overseas destination agents allows her to advise clients on the experiences they will expect allowing them to be clear they have made the right choice using Abels. 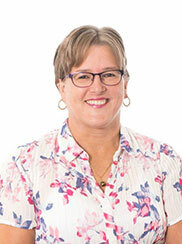 Diane has travelled extensively throughout South East Asia, Australia and New Zealand which allows her to speak with experience of the places she has visited and hopefully help and guide her customers. 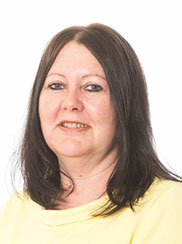 Previously Diane was a trainer and part of the new store implementation team within a large retail organisation. I started with Abels in 2004 as a Porter / Packer. During the last 8 years I have progressed within the business to Driver and then Senior Driver to achieve my current position of Customer Service Manager. Prior to joining Abels I worked within the leisure industry and also served in the Royal Marines. Whilst at college I completed my G.N.V.Q in Leisure and Tourism, City and Guilds in Spanish and N.V.Q in Sports Management. I also hold a full H.G.V. Class 2 License. 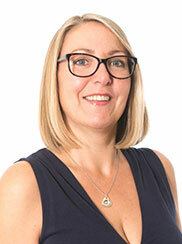 I have been with Abels since 2009 working on Business Development across a wide range of Corporate Accounts. Always looking to find new markets for Abels, I like to initiate something different that hasn’t been tried before. 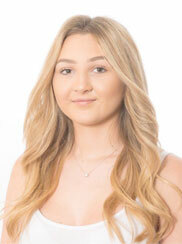 I am always willing to help customers to make their move run smoothly. Prior to working for Abels I worked for BT in the telecommunications industry for over 33 years. 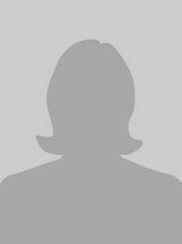 My career with BT spanned time on Research and Development to Sales and Marketing, along with Account Management across a number of strategic accounts. I have been working for Abels Moving Services since 1981 in both International Sales and Operating Departments. I am now working part time in the Sales Department. Have CPC UK and International, as well as the Certificate of International Removals Management (with distinction). I am a true “Abels blue”. My husband Ray who worked for Abels Moving for 16 years in the IT Department before retirement and son William also worked for Abels Moving for 10 years before getting married and moving to Sheffield. I still enjoy coming into work, even though I could be retired, and that says it all! 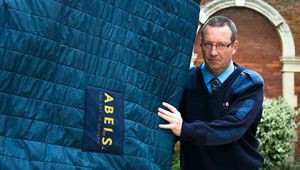 I joined Abels in December 2002, working within the Abels Home delivery department arranging home deliveries for John Lewis, Wesley Barrel and Mark Elliott. Then moving into the UK department for residential moves and since 2007 I have been coordinating international moves for customers moving predominantly to America, Australasia and Africa. I have been with Abels Moving Services since 1999. Initially I was involved within the area of our business covering furniture distribution, hotel installation and office moving. In 2006 I changed roles to be part of the UK residential team, whilst still maintaining an interest within the commercial side. My present role is office based UK Customer Services Manager heading up the customer liaison team specialising in UK residential relocations. Prior to Abels I supervised a production line for a company making and supplying medical equipment for the NHS. 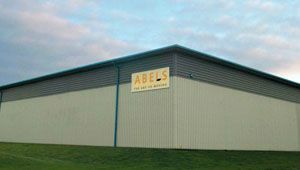 I joined Abels in 2007 and I started within the Import Department where I managed imports into the UK from outside of Europe, dealing with Customs Clearances, haulage and delivering the goods for our Customers. 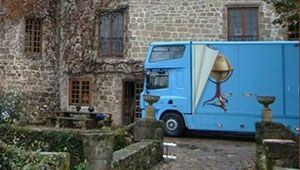 I also planned and co-ordinated moves to and from France, Spain, Belgium, Portugal and Luxembourg. I now head this department. Prior to working at Abels I worked in childcare looking after four children aged between 9 months and 7 years old, I then progressed to the Ministry of Defence as a Procurement Officer. 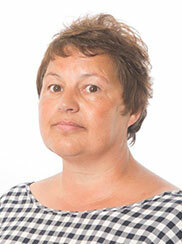 I have been with Abels since 2006 and I am a UK Customer Service Administrator. I co-ordinate all aspects of the move for the client and hopefully make their moving experience as stress free as possible. Prior to joining Abels I was a Contract supervisor for a furniture distribution company. 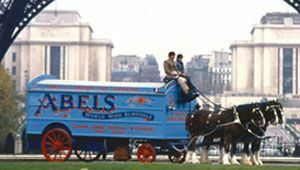 I joined Abels in 1984, starting as a porter. I then passed my LGV driving test in 1988 and in 1990 was promoted to Senior Driver taking control on many large moves. Then late in 1993 I broke my foot playing football and was asked to work in the office to learn all about the operations, so I could cover for the operations manager at the time, when he was away on holiday. 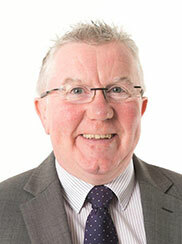 In 1994 I came into the Operations Department to work along side Dave Potter. I was promoted to my current position and hold LGV Class I, both forklift licences, UK and International CPC. I have been working for Abels since 2003. My role as Receptionist has grown and developed throughout the years whilst still maintaining the main reception duties. 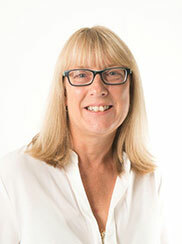 I now have a wide and varied role, from inputting new enquiries, ordering stationery, office supplies and uniform, assisting departments with documentation, mentoring apprentices, work closely with the Marketing Department providing the company literature, brochures, leaflets so that we are always in stock and updating the look so we are current with modern times. Before I worked at Abels I worked for a worldwide distribution centre which sold sheet music, music books, instruments for schools, colleges and music shops globally. My hobbies are walking my dog, watching F1, dining out, listening to music, photography and gardening. 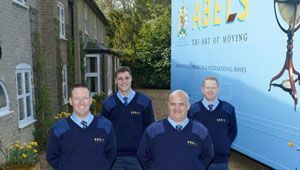 I joined Abels in 1984, starting as a porter gaining valuable basic skills before I was put forward for my HGV test and I progressed to the position of Senior Driver. I then moved into a position within the sales team. I have been within Operations for 19 years first as a supervisor and then my current position as Operations Manager. The time has flown by as every day always has a different flavour and is so varied. Outside of work I have been involved in coaching youth football for 16 years, and presenting on local radio. I have been with Abels since 2007 and for the first two and a half years I was the Directors PA. I then left for a short while to have a baby and came back in May 2011 in a slightly different role within the Accounts Department. 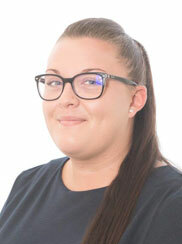 Although I have taken back much of the work I did prior to my maternity leave I have also taken on a more accounts based role working closely with the finance team in providing daily accounts information for the company and month end accounts. Before coming to Abels I worked as a Site Manager for Premier Telesolutions at the West Suffolk Hospital. The company provided much of the NHS with its bedside television systems. Prior to this I lived in Scotland for 7 years where I worked for BDF Ltd, manufacturers of sterile and non-sterile drapes and gowns, selling direct to the NHS as their Sales Administration Manager and before this at Glenlee Power Station, part of Scottish Power, as their Personnel Manager. 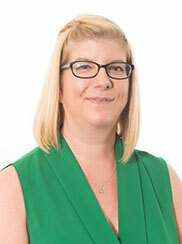 I joined Abels in 2012 as an Accounts Administrator, reporting to the Abels Financial Controller and working alongside Jenny Mason, dealing with the daily accounts function. I was born in Hastings, Sussex and moved as a child to Buckinghamshire, where I grew up. I visited East Anglia on a regular basis and soon fell in love with this beautiful part of the world. In 1999, I relocated to Norfolk with my husband. In my spare time, I enjoy growing my own produce, walking my two dogs and DIY. I joined Abels in 1999, a year after leaving university with a BA (Hon’s) in Business Administration, later obtained a Diploma in Management Studies (DMS) & MBA in business Management. 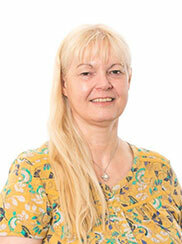 Initially working within the accounts department then taking on the IT Managers role in 2007. This has also lead to undertaking the role of Quality Manager, gaining Abels FIDIFAIMIPlus and steering Abels through other annual accreditations. Away from work I like nothing better than fishing for the elusive carp within the Cambridgeshire area. 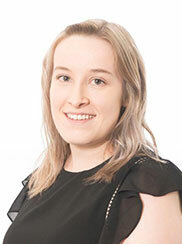 I began working at Abels in June 2013 and took on the role as Apprentice Administration Assistant. 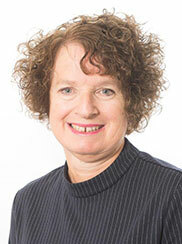 The Abels team made me feel very welcome and I was quick to feel relaxed and supported in my new role. Since completing my apprenticeship I have gone on to workwithin the International Sales team. I find this side of the business very interesting whilst certainly challenging and knowing that there is still a lot for me to learn considering the multitude of worldwide destinations and the variety of methods to move a customer to these locations. It is rewarding helping customers with their moves and very satisfying when they send in their thanks and appreciation of our service. 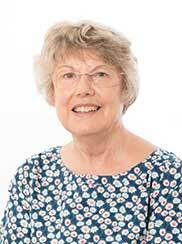 I joined Abels in January 2014 as a UK Customer Service Administrator. My primary role is to deal with all enquiries into the business, by phone, email or website. I arrange appointments for our Customer Service Managers to visit our clients and establish the moving requirements. I have now progressed to co-ordinate all aspects of the move for our clients and enjoy my contribution in making their moving experience as stress free as possible. I am originally from Birmingham but relocated to Suffolk 7 years ago. Prior to working for Abels I worked in a sales role for the past 20 years in various businesses. With a strong sales acumen and passion for people management I joined Abels in February 2016. 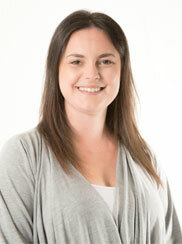 Heading up the International Sales team my primary role is to manage the sales and deliver sales targets. 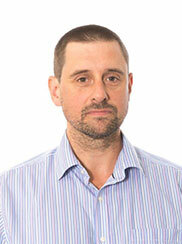 Having been in the industry for 20 years I bring extensive experience from both Europe and the UK. Having lived abroad for 14 years in Prague and Madrid where I brought up my young family and worked internationally for renounced removal companies. I relocated back to Norfolk in 2010. Being a keen gardener and designer, I can often be found on Ebay conjuring up my next creative design for my home. I started my career with Abels in October 2016 as an Apprentice Office Administrator. Currently, I am a few months into my Business and Administration apprenticeship which involves me working with a variety of departments within the business however I mainly work with the international department. My job role has many duties contrasting from dealing with internet enquiries to helping raise insurance forms; however, not a day goes by where I lack a new interesting task to complete. Over the next year I will finish my apprenticeship and hopefully progress throughout the company to achieve a bigger role within Abels in the future. Away from work I enjoy watching sport and movies, reading novels and listening to/composing my own music. I began working with Abels in August 2015, as Apprentice Administrator. After completing my NVQ, I progressed to Customer Liaison within the Import department, predominantly overseeing Imports into the UK from an array of overseas origins. Aside from that, I also assist with European collections and deliveries, working alongside our partners within the UK and Europe. I aspire to progress my career further at Abels. I am originally from the West Midlands, but grew up in Cambridgeshire. Outside of work, I am an avid photographer and I love to travel. I joined Abels in 2017 as an Administration Apprentice. While completing my NVQ Level 2 I would like to then proceed to Level 3. My course involves learning the administrative aspects of a clients file, dealing with data entry and assisting other departments within the business. 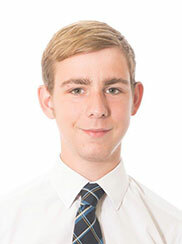 I have always wanted to learn how a business operates and while completing my GCSE business course I wanted to pursue my passion for business and was offered this opportunity within Abels. I began working for Abels in February 2018. I’ve been working within the removal industry since early 2016. After a successful interview, I was offered the position of Customer Liaison. Currently I co-ordinate European moves and also exports to Canada. Everyday is different and I love the challenges that I’m faced with on a daily basis, that’s why I find being in the removal industry so exciting. Away from work I enjoy going to the beach and shopping, although most of my spare time is spent with my partner building banger cars as he races for a hobby. I started in January 2018. My background working with a warehouse and despatch facility lead me to my current role within Abels. Working within a specialist team I assist in ensuring our clients stock of furniture fixings and equipment is effectively managed on a daily basis. 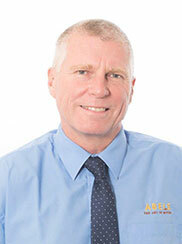 I joined Abels in April 2012 as part of the International Sales Team. I now work in all areas of the business from sales to coordinating import shipments, UK & European removals and international relocations. Everyday is different which I really enjoy. Prior to working with Abels I worked for a warehouse distribution company for 11 years. Ron joined Abels in 2018 as Move Consultant, with six years experience at a local removal company as Sales Manager. 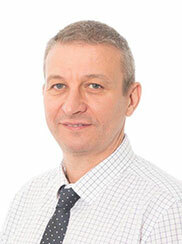 With a background in sales and marketing in a number of industry sectors as diverse as event management, computer software and local authority housing, he brings a customer oriented approach and a passion for great service. He is a musician and songwriter in his spare time, an advocate of local live music and runs the monthly Thetford Folk Club. I am new to Abels joining in March 2019 as their HR Manager. I have been involved with People Management for many years, working in a variety of business sectors and a qualified CIPD member. I am looking forward to assisting the management team, working with all colleagues, so that we can continue to provide our customers with the service they deserve, whilst enjoying our jobs at the same time. Originally from London, moving to East Anglia some years back, whilst still retaining the Cockney accent at times! A big believer in that you get what you put in and take the approach of ‘how hard can it be?’ Outside of work I enjoy anything to do with art, history, animals and travelling. Having joined Abels in March 2019, I am a new member of the team. My role as Financial Controller offers me the opportunity to get involved with all areas of the business and I am enjoying getting to know other members of the Abels family. Having worked in various businesses around the country it is a pleasure to be working for such a long established and well respected company. Having moved to East Anglia in 2016 from Surrey I quickly settled into my new home town of Bury St Edmunds. 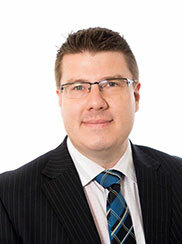 I have recently been appointed as a JP and sit at the Magistrates court in Ipswich on a regular basis, which is a very fulfilling role and one which the management at Abels is very supportive of, as part of the company’s commitment to the local community.